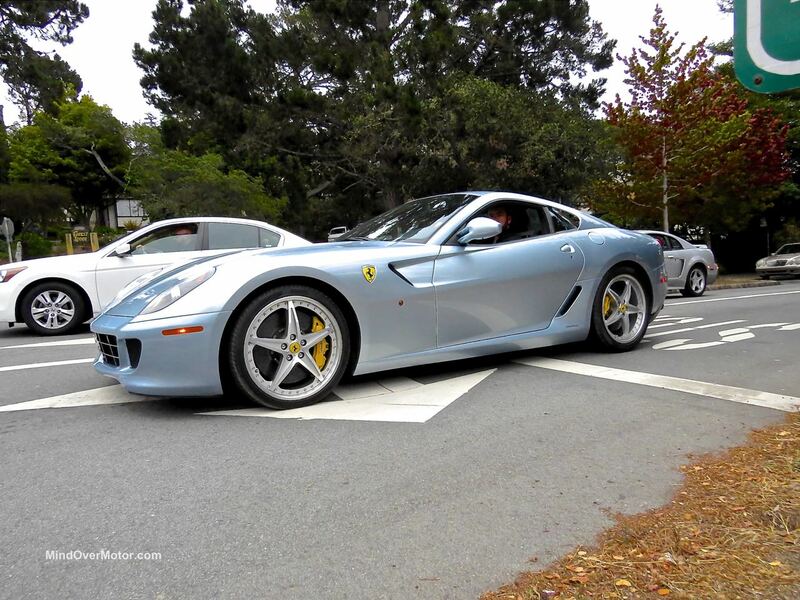 While chasing after many, many exotic cars all over the Carmel Valley last summer, I bumped into this blue Ferrari 599 just behind me on the street. Before the Ferrari 599 GTO, there was the Ferrari 599 GTB. But between the two, there was this hot little number, the 599 HGTE. Ferrari took it upon themselves to make an option package for the 599 with upgraded magneto-rheological shocks, better tires, and some exterior dress-up, among other things. There were many other great cars out that Saturday afternoon in Carmel–but this one definitely got its fair share of attention from me that day. Previous PostThe Cien Concept, and Why Cadillac Desperately Needs An Exotic Halo CarNext PostThe BMW i8 is Proof of Progress, and I Love It!